A new joy slide for the 21st century? That's the dream of the Friends of St James's Churchyard. It will look a lot different from the much loved slide that graced the churchyard for nearly fifty years, but it will, we hope, bring a fresh injection to the childrenm who will use the new slide, close to the existing children's playground. But first we need to raise the funds. 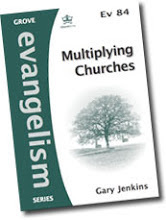 The first step in that direction will be the official launch of the project at a Community Fun Day in the Churchyard on Saturday 22nd July, for which we are grateful to the United St Saviours Charity for funding. 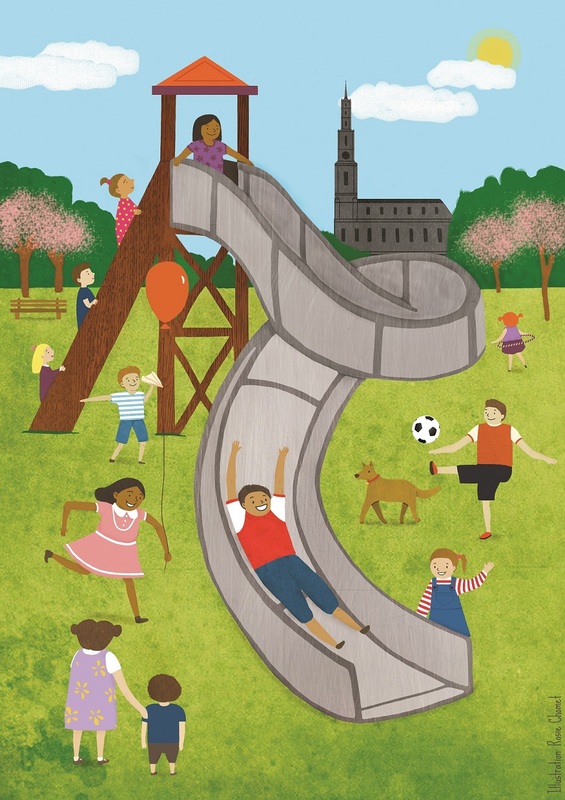 In the meantime, a local artist, funded with the grant from United St Saviour's, have produced this 'artist's impression of a new joy slide, complete with St James's Church in the background. Thanks Rosie. 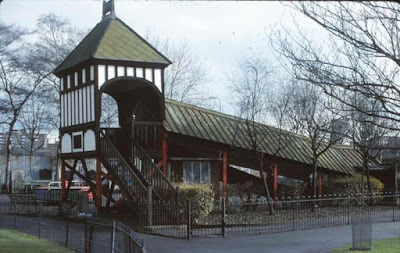 The original slide was the brainchild of Arthur Carr of Peek Frean's biscuit factory. 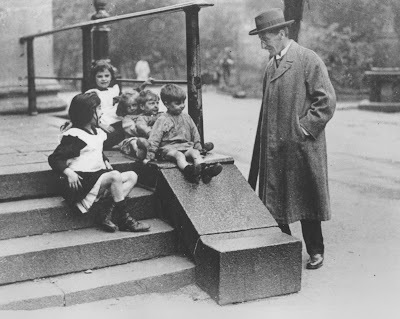 On his way to work he saw children sliding on the granite slope (as they still do) by the side of the steps leading up to the church portico, and the thought came to him of providing a full size slide for the children of the area. 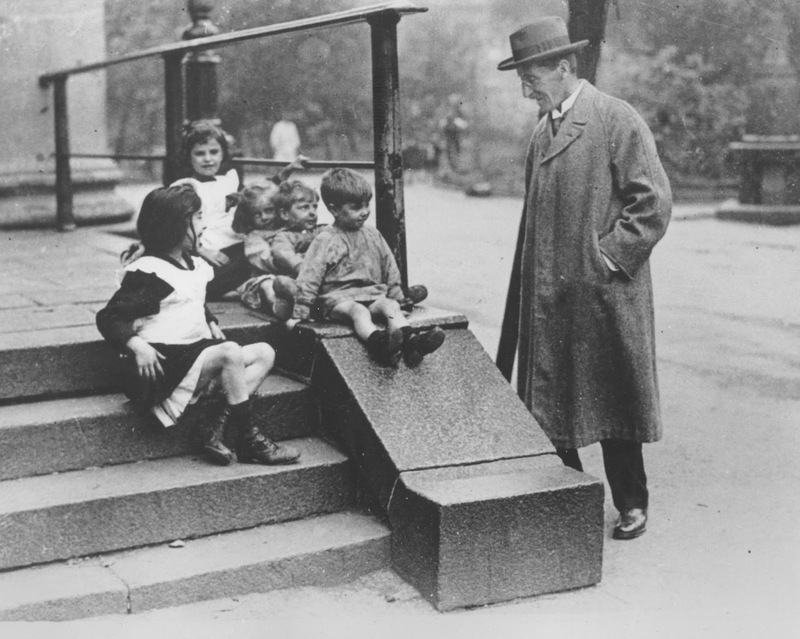 Now, if funds allow, a new joy slide for the twenty first century could be coming to St James's Churchyard, complete with an explanatory panel telling the story of the old joy slide. 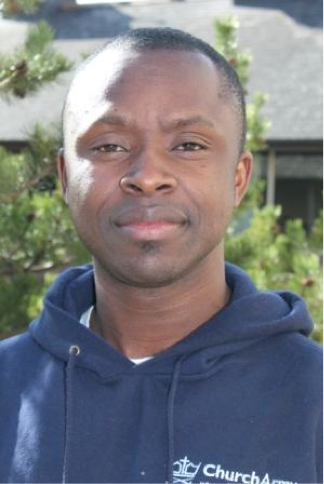 Church Army evangelist, Nicholas Lebey (left), who has twice preached at St James & St Anne's, who works in Thamesmead in SE London, has shared this video, part of a series being produced by the Church of England to encourage young people to share their faith. 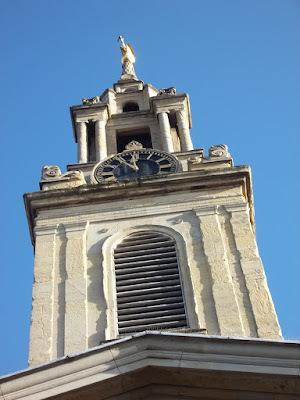 You don't need to be a heritage expert to see that St James's stonework (left) is in need of some tender loving care, but the good news is that help is at hand. Today we can announce that we have received the offer of funding from the Heritage Lottery Fund's Grants for Places of Worship Scheme. The first tranche of money - up to £35k - is for the development of the project, but if all goes well in this phase, we could receive altogether something in the region £267k, which with our own funds, will provide for the repair of the stonework in a total scheme costing in the region of £412k, securing the future of the building as a place of worship, a local landmark and a community resource. 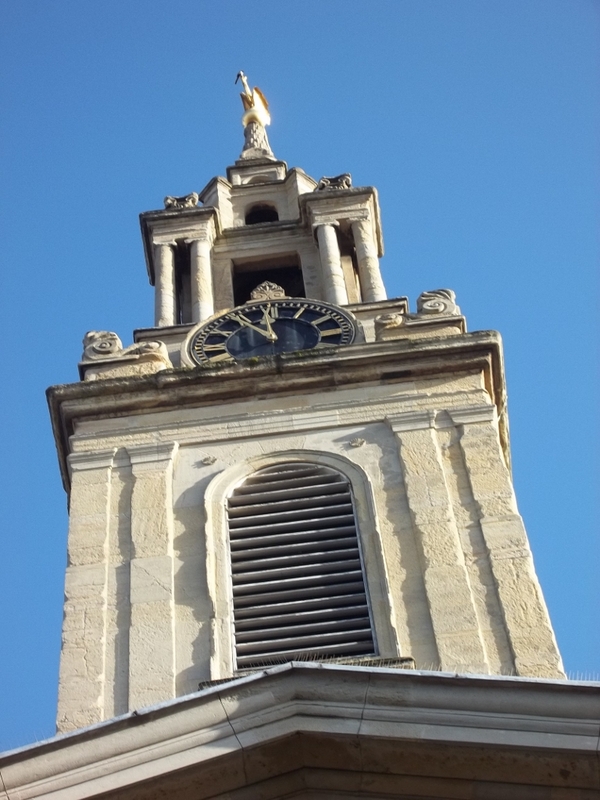 The church is much more than a building, but we are grateful for this provision of funds for the building that has been bequeathed to us and which is so valued by our local community here in Bemondsey. At St James School church assembly today at Alexis St and Old Jamaica Rd I told the children about Ash Wednesday and the beginning of Lent. They already knew that Lent lasted forty days and they knew all about Shrove Tuesday, too, because Mrs Willis had made some pancakes in assembly. But today was about Ash Wednesday and ash. 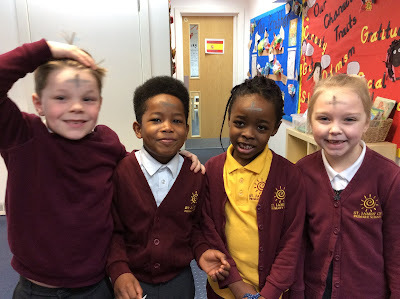 At both sites I had a few children up to show how the sign of the cross is placed on our foreheads with ash, as a sign that we are sorry for what we have done as wrong, but that we trust in Jesus death for us to bring forgiveness. These are the four children from Key Stage One after the assembly.